The Wild/flower Women II exhibition features work by pioneering Queensland artist and activist Kathleen McArthur, and collaborations with other ‘wild/flower’ women such as Judith Wright and their campaigns to protect the environment. To profile the living legacy of this work, contemporary artists Marvene Ash, Shannon Garson, Anne Harris and Ulrike Sturm pay homage with their own responses to our wildflowers and natural heritage. ​3 May - 17 June, 2018, Caloundra Regional Gallery, opening 2 May. Kathleen McArthur works have been generously provided on loan from her son Hugh McArthur and the Fryer Library, University of Queensland. We also acknowledge the support of Wildlife Queensland, Sunshine Coast Branch, and the friends and family of Kathleen McArthur. Image credits: Hibiscus Splendens by Kathleen McArthur, courtesy Hugh McArthur. Susan Davis is Deputy Dean Research in the School of Education & the Arts at Central Queensland University (Sunshine Coast Region). Her research and practice has focused on the arts, digital technologies, sustainability and scriptwriting and performance. Sue has been involved in a range of environmental arts-based projects such as the NeoGeography creative place-making project, Floating Land, Treeline, the Water Reckoning and through co-curating the Wild/flower Women symposium and 2016/17 and 2018 exhibitions. She is a Board member for the Creative Alliance – Sunshine Coast and has produced/curated many Pecha Kucha Nights and other regional art events. Sue regularly presents at national and international conferences about arts projects and practices and has had over 50 book chapters and refereed articles published. Nina Shadforth is an independent arts practitioner, working in diverse projects as curator and consultant for the visual arts and entertainment industries. Nina has worked professionally in the arts sector for over 20 years, having held appointments in regional QLD galleries as Curator/Director at Caloundra and Noosa Regional Galleries, the Butter Factory Arts Centre, Cooroy and for Public Programs, at the Victorian Racing Museum, Melbourne and the Bendigo Art Gallery, including a number of freelance contracts in Bendigo for the Information Centre, Central Deborah Gold Mine and Golden Dragon Museum; and as author of education resource material (visual arts) for Herald-Sun & Weekly Times, Melbourne and University of the Sunshine Coast Art Gallery. Side projects have included visual arts contributor/writer for InNoosa magazine, lead Curator for TEDxNoosa, and more recently having established ‘ArtsUp’ street-art social media page. Currently, Nina is artist-manager for DoolieMusic and business partner in a local film production company. 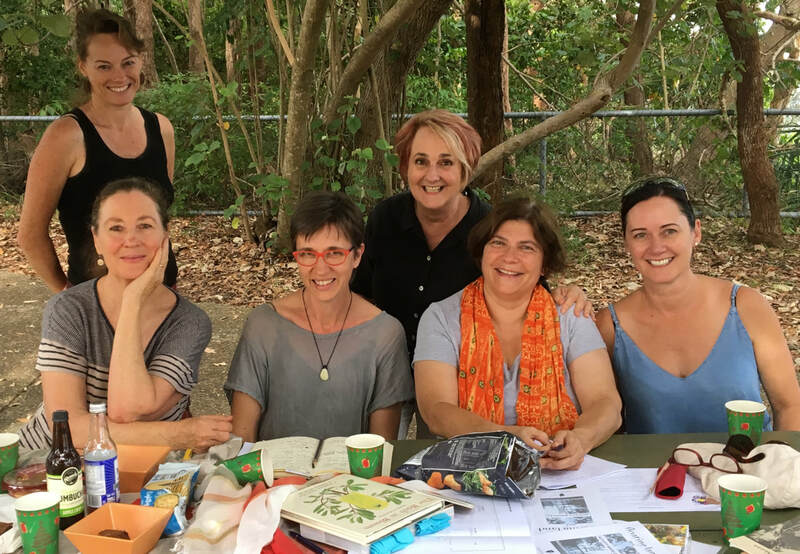 She currently sits on the boards of the Sunshine Coast Creative Alliance, Public Galleries QLD, Sunshine Coast Screen Collective, and lead curator (Vis Arts) for Noosa Alive! Festival, and various creative industries reference groups. This exhibition has been supported through CQUniversity (Sunshine Coast) and a RADF grant. The Regional Arts Development Fund (RADF) is a partnership between the Queensland Government and Sunshine Coast Council to support local arts and culture in regional Queensland.